Get an error 21000068 when resetting your Epson T50 or Epson T60 and not see any solution to prevent the problem. Why not try this tips, but reset this method not recommended for beginner user and you must understand what you are doing. These tips from Jagdish Rathore (India) and I have been granted permission to publish on this blog. 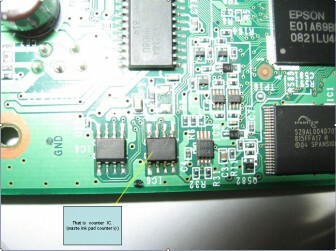 He also has been publishing this reset method on his blog on: http://www.epsonservice.blog.com/. If you do not have any knowledge about PCB and electronics, I recommend don’t try this reset methode. Turn off printer and open printer. 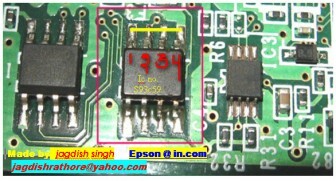 Open your Epson main PCB board. You can view an 8 pin CMOS IC. 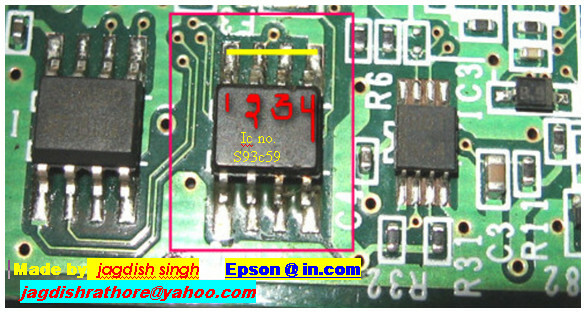 That is Epson waste ink counter IC and found on all Epson Printer. You can reset your printer without any resetter by following these ways. Note: This method is not recommended for beginners so you have to understand what you are doing. All problem caused by this tutorials is not our responsibility. Use this tutorial as your own risk. Thanks for sharing this information its really helpful for people like me who don't have much knowledge about printers.